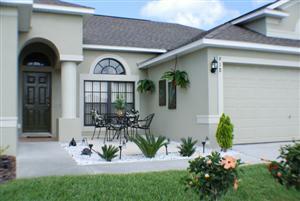 This 4 bedroom, 3 bathroom villa is situated on a corner plot on The Estates at Legacy Park and will sleep up to 8 guests in comfort. 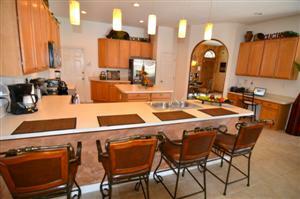 This home is equipped with everything you will need during your stay and the kitchen comes complete with all modern appliances. 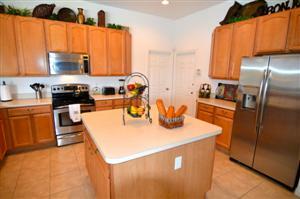 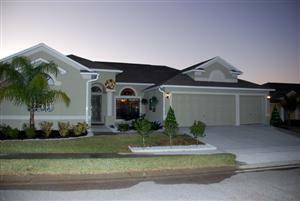 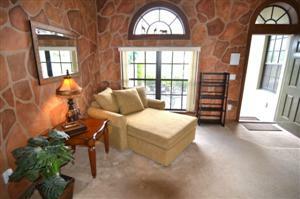 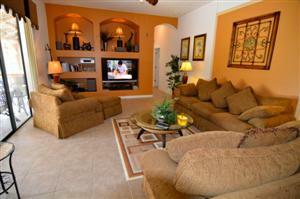 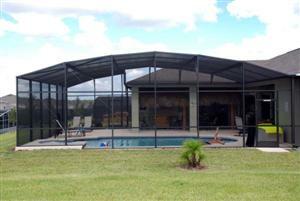 The home has a main living room with a 50″ television, a sitting room plus a den area with television and DVD player. 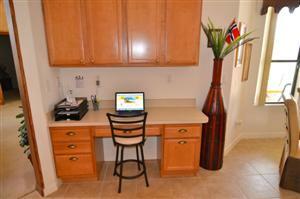 Free wireless internet is available within the home for guests to use. 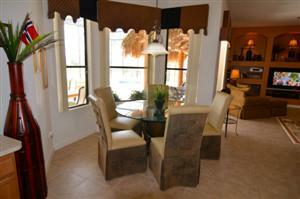 The main dining area offers seating for up six guests and additional seating is available at the breakfast table and breakfast bar. 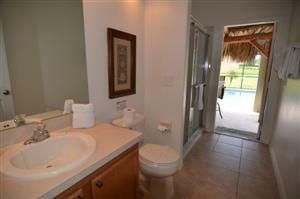 The master king bedroom has direct access to the pool and its en-suite bathroom has double vanity sinks, a shower and bathtub. 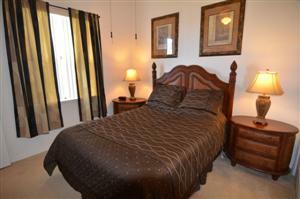 The second bedroom has a queen size bed and an en-suite bathroom with shower and direct access to the pool. 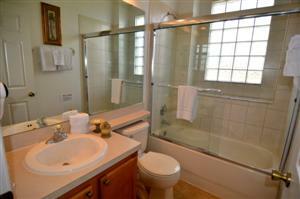 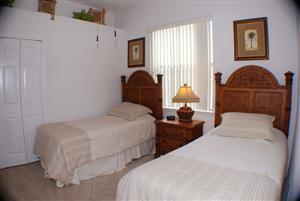 The third and fourth bedrooms have twin beds and share the third bathroom which has a shower. 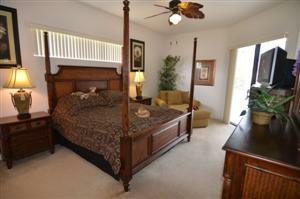 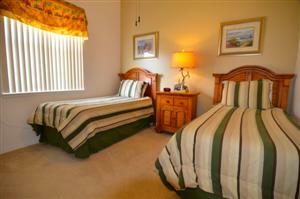 Televisions can be found in all the bedrooms. 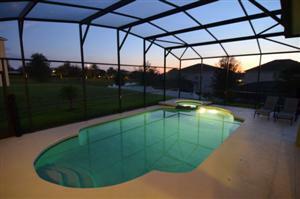 Outside you will find your own south-west facing pool and spa. 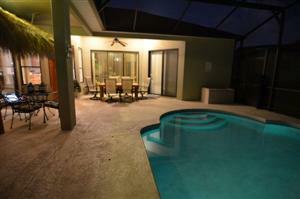 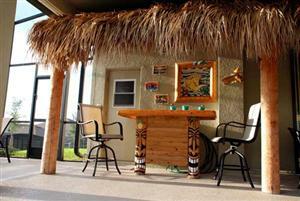 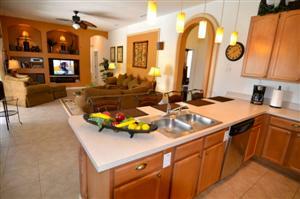 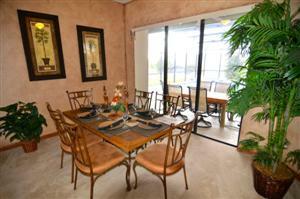 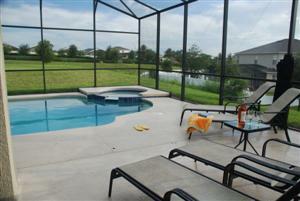 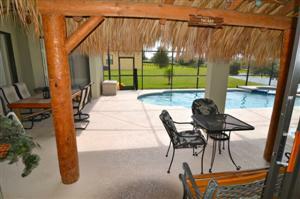 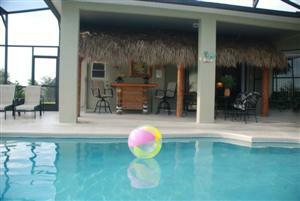 The lanai and sundeck is equipped with outdoor pool furniture and also offers a small tiki bar with party lights.